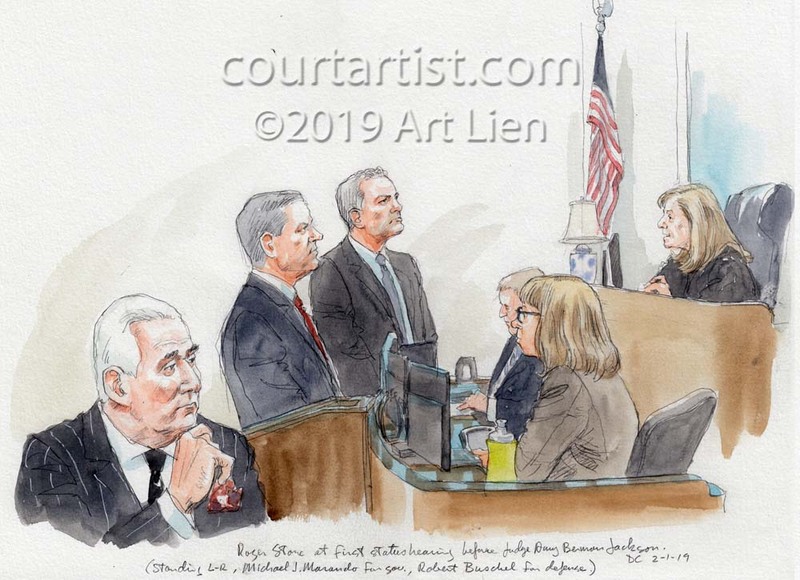 Ex-Trump campaign adviser and self-described dirty trickster Roger Stone made his first appearance yesterday before the judge in charge of his case. Judge Amy Berman Jackson said she is considering a gag order but that it wouldn’t prevent the parties from commenting about “immigration, foreign relations, or Tom Brady”. No trial date set, but the prosecution is looking to October. Next status hearing scheduled for March 14. A little disappointed that Stone didn’t flash the Nixon victory gesture in the courtroom, though he did for the cameras outside the courthouse.